Who doesn’t love Hallmark and all the fabulous things they have available at this time of year! When I was very young, my family had a ritual regarding Hallmark Christmas Cards and to purchase a few special ornaments and gifts from our Hallmark Gold Crown Store. 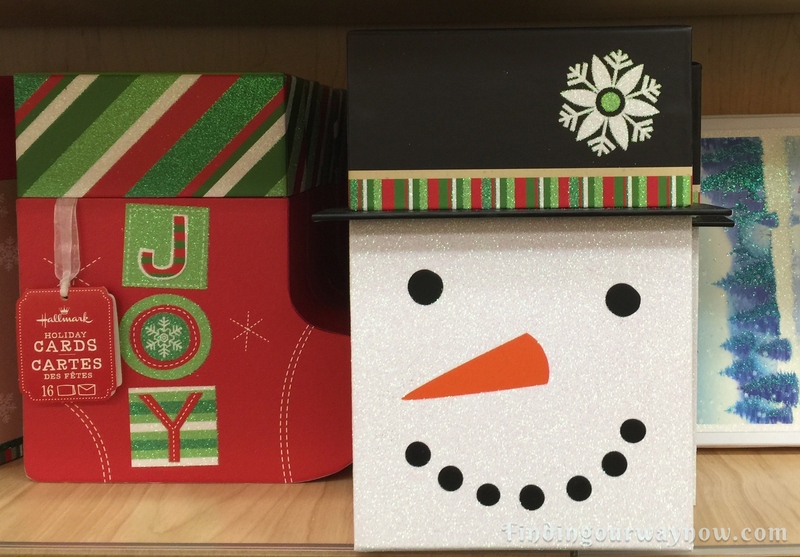 We would visit our local Hallmark store to select just the right cards to send to our family, friends, our teachers and a host of other people we wanted to share a bit of cheer. In addition to our to the cards and gifts, our trip would often provide us with a few inspirations to create our own homemade gifts. In honor of our old family tradition, I’d like to share an idea or two that’s easy and fun to create. Sharing what you create from your own kitchen with some of your favorite people is always a joy. Before I could do that, I needed to make my annual trip to my local Hallmark Store or online wich ever is the most convenient. .
After my shopping trip, I was inspired, once again and then set to work making a few recipes as gifts for my friends and family, using some of the gift bags, tags, and various items I’d purchased to make each package a bit special. 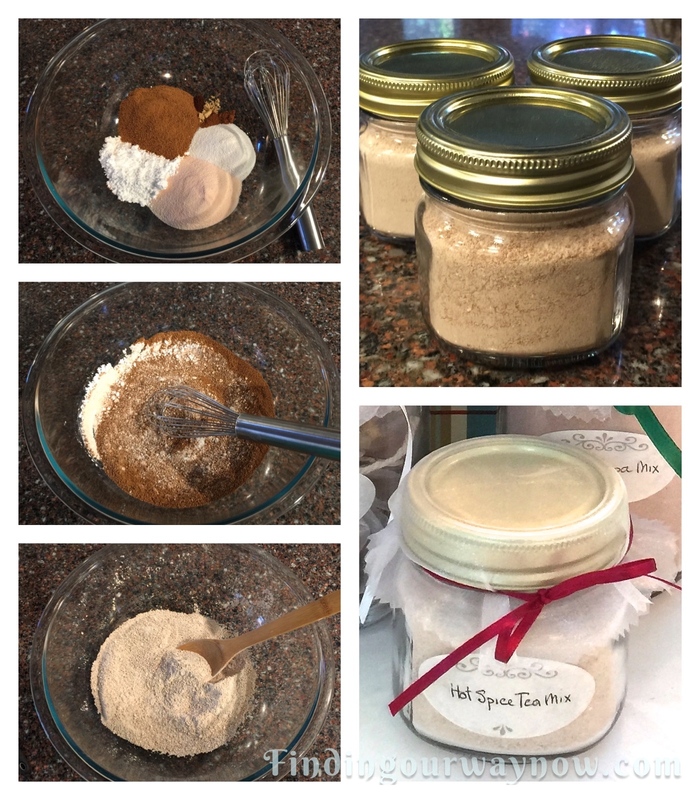 One of the recipes I made was this Homemade Hot Spiced Tea Mix. Measure and pour all the ingredients in a large mixing bowl. Whisk the ingredients until thoroughly blended. Using a funnel, pour the mixture into 4-4oz jars or 2-8oz jars, label with instructions. Give the jars away as gifts or store them in your pantry. The mix will last up to 6 months. Instructions Label: To serve, place 3 teaspoons of the mix into a mug or cup. Fill your cup or mug with 8 oz. of hot water. Stir until thoroughly combined and enjoy. Notes: I say it quite often; always use the freshest ingredients you can. I find that sifting the powdered sugar helps to remove any existing clumps. Re-grinding the spices to a finer texture isn’t a bad idea; it can aid in dissolving them in water. You can easily double or triple the recipe if you desire. 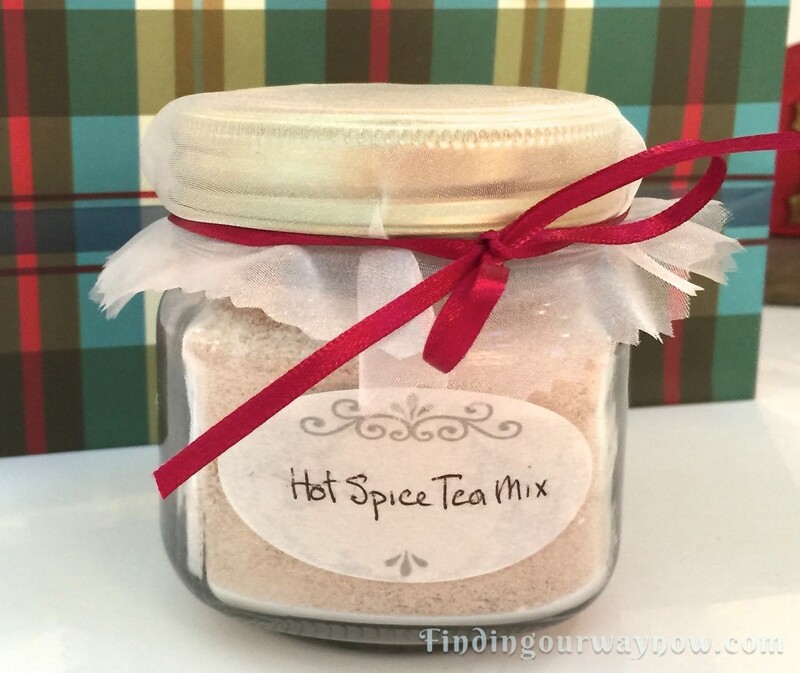 A jar of this Homemade Hot Spiced Tea Mix does make a great gift. 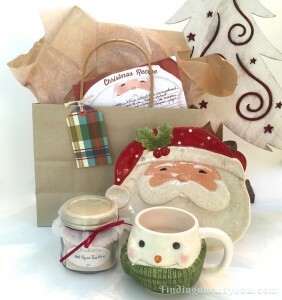 All you need is to decorate the lid with a bit of cloth and ribbon, place the jar in a gift bag, add a recipe card for a favorite cookie or this Spiced Hot Tea Mix, a few cute items from your local Hallmark store and you’re good to go. Many times I like to add a trio of beverage mixes with a fun holiday mug or two to make the gift extra special. This year’s gift packages will include my Homemade Hot Cocoa Mix, my Homemade Mulling Spice Sachets (Coming soon), and of course, this wonderful Homemade Hot Spiced Tea Mix. This package is made especially beautiful with the gift bags and other fun items I’d purchased at my Hallmark store. So there you have it. A bit of a story, a fun recipe, and a gift idea all wrapped up in one post. While you’re at it, take a moment to check out some of Hallmark’s Great Gift Ideas, their holiday cards, and last but not least gather some inspiration from their craft and gifts selection.